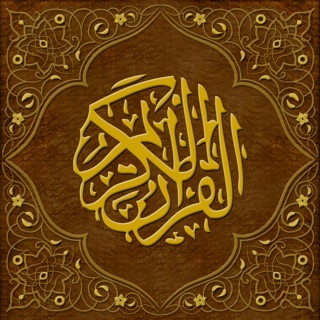 The CJKI Arabic Verb Conjugator, an easy-to-use Arabic-English conjugator that provides exhaustive coverage of linguistically accurate conjugation paradigms for over 1,600 Arabic verbs, has been updated with an all new testing mode, further cementing it as the ultimate tool to master the complexities of the Arabic verb system. We have also refreshed the user interface to make the app even easier and more pleasant to use. 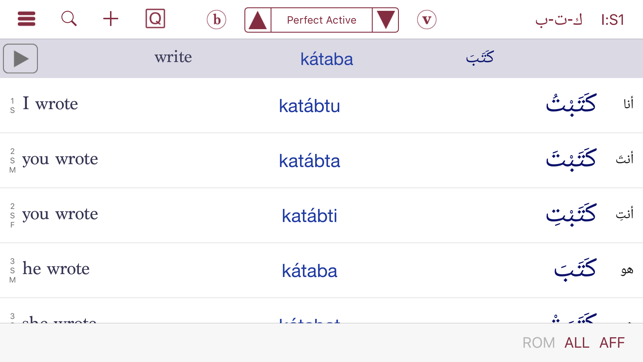 Designed from the ground up to be a highly effective learning aid, CAVE stimulates a desire to learn by providing rich content in an easy-to-use interface that gives instant access to detailed information on every aspect of Arabic verb conjugation. 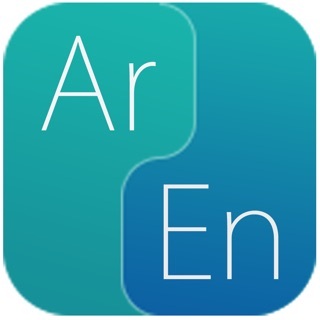 Now, we have added the ability for learners to test their knowledge of the paradigm of a verb, tailoring the extent of the tests using the usual filtering mechanism. 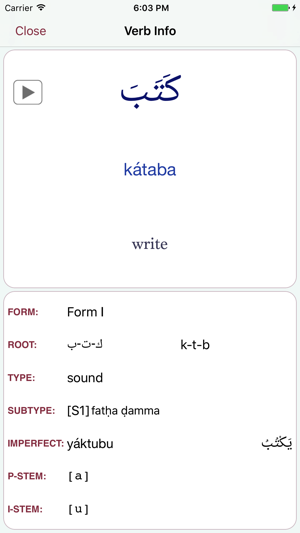 Never before has there been such a compelling need for a new, pedagogically effective tool for mastering the Arabic verb system. 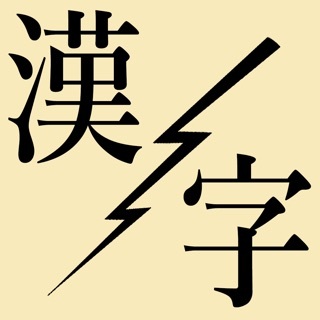 The CJK Dictionary Institute (http://www.cjk.org) is directed by Jack Halpern, editor of the New Japanese-English Character Dictionary (Kenkyusha) and The Kodansha Kanji Learner's Dictionary, now standard reference works. Be sure to check out our other dictionary apps available for iOS devices by searching for "CJKI" in the App Store. 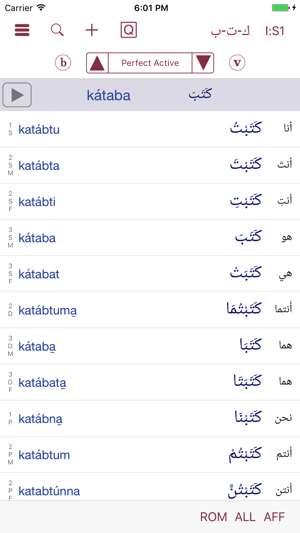 First and foremost, this is the best database of Arabic verbs that I have ever found... nothing compares to it that I am aware of. 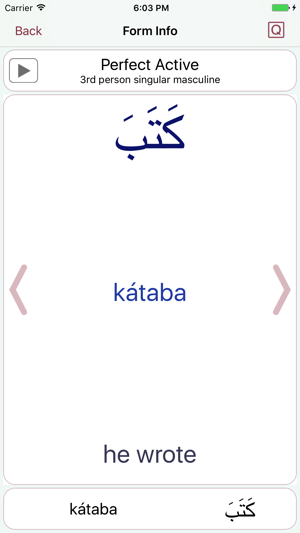 I literally use it all the time while studying Classical Arabic. However, there is a serious problem that hinders its usability. And a few features that make it impossible to use for more serious tasks. 1.) you cant copy the verbs for pasting elsewhere. This means if I am making flashcards (for example with ANKI) I have to flip back and forth and type out the verb into the flashcard app. This takes a lot of time and really cuts down on the utility of this app. 2.) I’d love to be able to export custom datasets of selected verbs tenses, negations, etc. 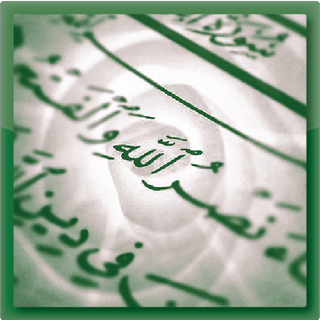 along with their translations and forms. This would enable me to make very sophisticated flashcards with Anki that I just don’t have the time to make typing them out manually. CAVE is essential for every Arabic library! I can't say enough how much I love and appreciate CAVE! I own The Kodansha Kanji Learner's Dictionary. So when it was suggested I make this very tiny investment in this app, I didn't hesitate. 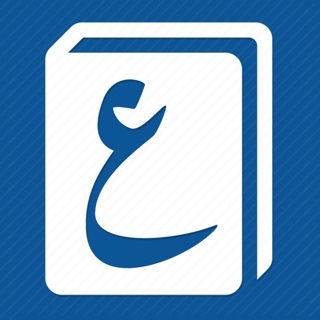 Whether a learner or native Arabic speaker, this app is essential for every Arabic library! The benefits will last a lifetime. The tremendous amount of work and dedication that went into this app is phenomenal. Thank you! thank you! Not sure who wrote the negative reviews, but this app is excellent. Lots of options and works great. I tried a couple of other similar apps, but this is by far the best.